Thank you for finding us. We hope you will like our family's chateaux, and add our website to your 'favourites'. We own some holiday chateaux in South-West France, and these are available for your holiday, normally self-catering but cooks can be provided, either full time or just for special dinners. 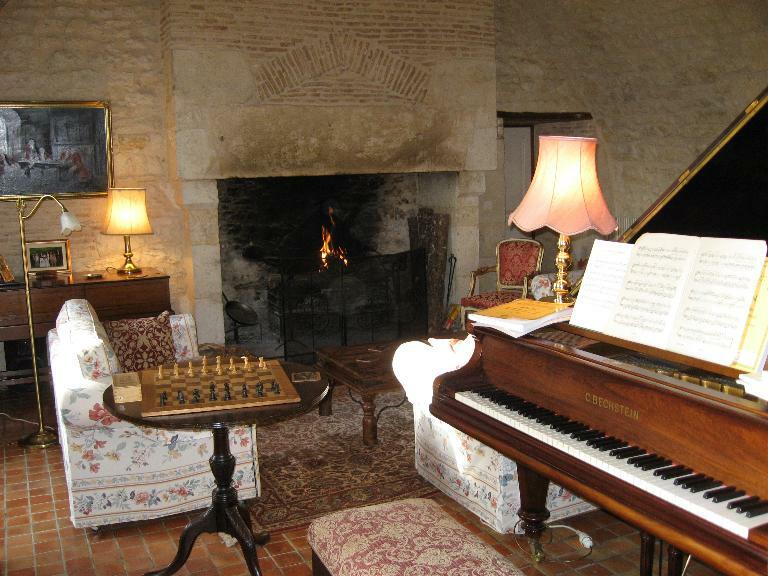 One Chateau has 6 bedrooms plus another 3 double bedrooms in an adjacent cottage if required. A second Chateau has 9 bedrooms plus a vast attic playroom, and the third has 10 bedrooms plus 2 more in a self-contained 'Pigeonnier'. Each Chateau has its own swimming pool and tennis court. They each also provide a well-maintained grand piano (2 grand pianos at Lamostonie), satellite TV, DVD , hi-fi & Broadband Internet ( ADSL / DSL + wifi ). These properties offer complete privacy and rents are from £1800 per week. Why rent a French Villa when you can have a whole Chateau to yourself ?! They are suitable for family holidays, weddings and other group accommodation. The Chateau du Trichot has a reception area which can accommodate up to 150 guests for weddings or other special occasions - we can supply a list of caterers, florists, entertainers and organisers. All are in the same area of France, part of historic Aquitaine including the rivers Lot and Dordogne. The countryside is very peaceful, with occasional hilltop 'bastide' towns (more like villages) dating from the 12th century, plus castles from the same era. There is always masses to do and see, including huge medieval castles, easy canoeing on the rivers and exploring some of the biggest underground caves in Europe. The region offers wonderful French food with rich dark wines. The local restaurants are very reasonably priced.